The next step in the mobile revolution? 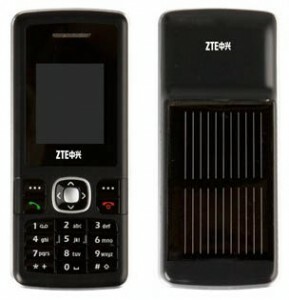 After Samsung launched their glamorous solar-powered mobile phone Blue Earth last week, which is targeted at the environmentally-aware costumer, Chinese manufacturer ZTE is the first company to introduce a low-cost solar phone for the emerging markets. The Coral-200-Solar phone uses an integrated solar charger and promises to give people living in areas without electricity access to mobile phones. Digicel will be rolling out the Coral-200-Solar in selected markets from June. It will be interesting to see the impact of this new amazing piece of technology on those markets and also on the product developments of other manufacturers.